Imani Mixon grew up in this brick house in MorningSide during the early 2000s. Now, she's returned to help residents produce stories about the neighborhood. That’s the idea behind “MorningSide 48224,” a community-produced podcast about the neighborhood in northeast Detroit from Bridge Magazine reporting partner Michigan Radio and the Detroit Journalism Cooperative. 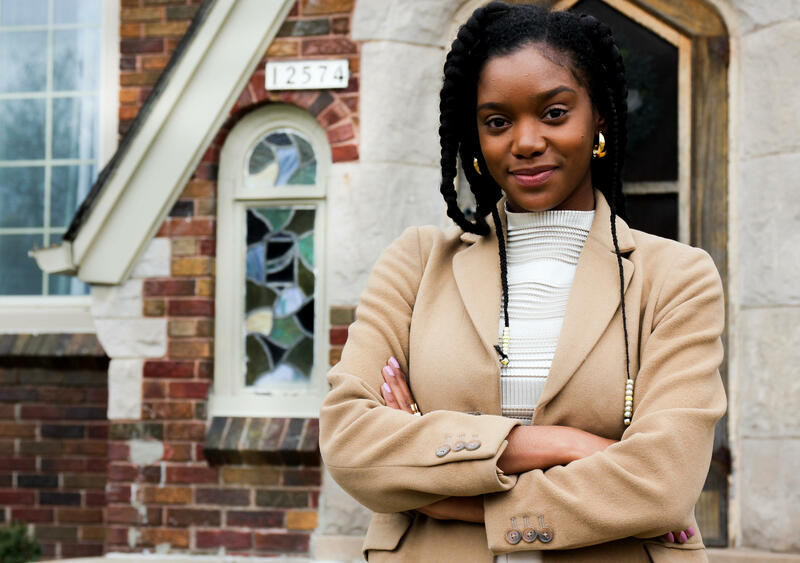 Detroit-based writer and reporter Imani Mixon is leading the project. She recently joined Michigan Radio’s Stateside show to talk about training residents on how to turn their experiences into compelling audio stories. Mixon says residents she’s talked to don’t always feel that news coverage of MorningSide accurately captures the neighborhood or what it’s like to live there. She says this podcast will be an opportunity for residents to talk back, and craft their own narratives about their neighborhood. “So this is a challenge like OK, if you don’t like what you’ve seen, what would you like to see? And they’re kind of putting that puzzle piece together,” said Mixon. “I had a kid who wants to do a how to create slime DIY podcast. I’m like well, that could be an episode. We can make anything news if it’s happening to you right here,” she said. It’s not Mixon’s first time in the neighborhood. She spent several years of her childhood in what she describes as her “first and favorite family home” in MorningSide. Mixon says it has always felt like a very special place — a sort of island of its own. If you’re a MorningSide resident with a story to tell, MorningSide 48224 wants to hear from you! You can email Imani Mixon at: morningside@michiganradio.org. Or call: 313-640-2908. Get episodes of MorningSide 48224 sent straight to your smartphone or computer. Or subscribe to the podcast on iTunes, Stitcher, or wherever you get your podcasts.